We’re often reminded at the beginning of each new year that this is a time to clean the slate and start anew. And while 2015 was a prosperous year in the events industry for many brands, others hit some snafus along the way. Now we’re taking a look back at the most newsworthy—and oops-worthy— stories of 2015. Here’s to a blooper-free 2016. During what was one of the harshest winters in recent memory, the fearless folks at Oscar Mayer threw caution to the wind and set out on a mobile marketing tour in the iconic Wienermobile. 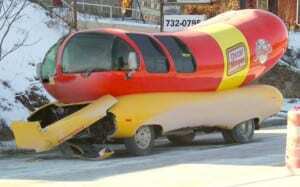 Icy roads, however, abruptly halted the hotdog on wheels when the vehicle slid off a Pennsylvania road and slammed into a pole. The 27-foot mobile build had front-end damage, but no injuries were reported. There’s life in the old dog yet. What began as a celebrated mud run in France known as Mud Day ended with the runs for more than 1,000 of the event’s 8,400 participants. In late June, French health authorities confirmed a severe outbreak of Norovirus following the Mud Day race. The illness is a highly resistant virus that causes gastrointestinal distress ranging from diarrhea and vomiting to abdominal pain and fever. Originally reported by Gawker.com, and picked up from a Washington Post report, outbreaks such as this are reportedly a growing trend among obstacle races as a result of bacteria-infected mud. Tums run, anyone? 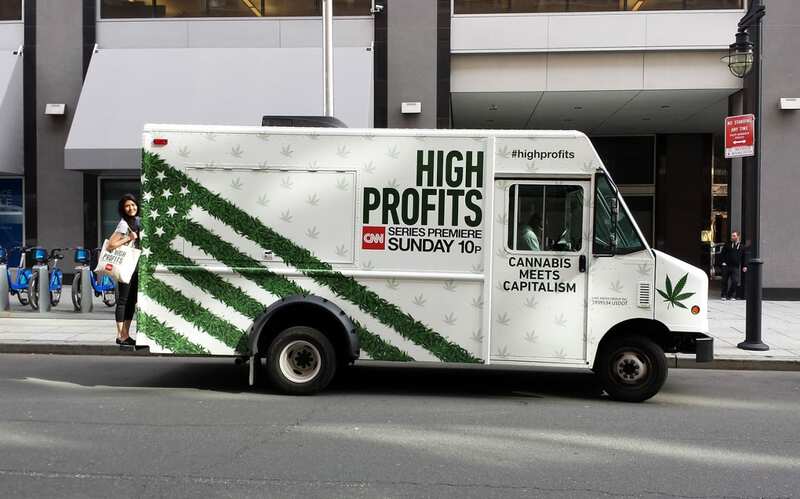 To promote its new series, “High Profits: Cannabis Meets Capitalism,” CNN deployed a branded media vehicle wrapped in cannabis leaf décor in New York City for one week in mid-April. But on the way up from Texas where the vehicle was wrapped, police from four departments in four states stopped to, ahem, hash it out with its occupants. Police detained the vehicle and thoroughly searched it on each stop. On the return trip, the van was stopped again, this time in Arkansas, and detained for more than one hour while a canine unite was dispatched to give it the old sniff test. The vehicle got the “all clear” each time. Pretty dope. The Federal Communications Commission in August announced a $750,000 settlement with Smart City Holdings, LLC for blocking consumers’ Wi-Fi at convention centers around the U.S. Smart City, an Internet and telecommunications provider for large meetings. 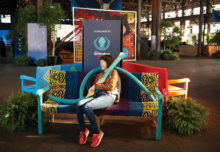 The brand reportedly “had been blocking personal mobile ‘hotspots’ that were being used by convention center visitors and exhibitors who used their own data plans rather than paying Smart City substantial fees to use the company’s Wi-Fi service.” Hot damn. An electronic dance music (EDM) pop-up party was shut down abruptly in October due to concerns over a very different type of glow stick. 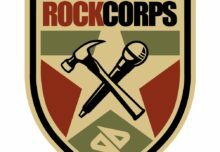 Pop-up event promotion company Cityfox cancelled its Halloween Experience pop-up party at a warehouse in Brooklyn 15 minutes before it was to begin after it was discovered that the location is a government-designated toxic cleanup site. 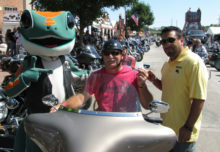 Cityfox said it was unaware of the building’s history and had received permits from the city before the event started. So much for good, clean fun.